Karl Ulrich Schnabel had a long and distinguished career as a pianist of international renown and was one of the world’s most sought after teachers [ Karl Ulrich Schnabel’s Approach to Expression]. He left his mark in music for one piano, four hands. The son of pianist Artur Schnabel and lieder singer Therese Behr, Karl Ulrich Schnabel inherited a musical tradition that united dramatic intensity of expression with absolute fidelity to the printed text. International Piano magazine remembered Karl Ulrich Schnabel in an article by Stephen Wigler which is reproduced here by permission of the publisher. As a piano teacher, Karl Ulrich Schnabel developed his own method of technique and practicing, thus influencing two generations of pianists. He enjoyed great success with his master classes, in which he combined the learning of a scholar with the instincts of a dramatist. He strived to ensure that his students achieve the fullest possible understanding of the works they play, enabling them to communicate this knowledge through performance. Designed for the amateur concert goer as well as the musician, these classes took advantage of the special artist-audience relationship Mr. Schnabel established to develop greater musical understanding in the listener and greater capacity for communication in the performer. Pianists who have played in Karl Ulrich Schnabel’s master classes include Murray Perahia, Richard Goode, Wyung Whon Chung, and Ursula Oppens. 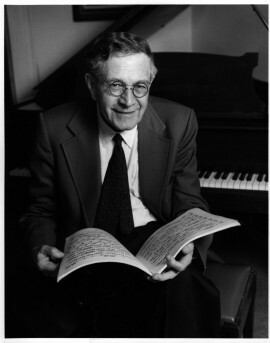 His former students include Leon Fleisher, Claude Frank, Peter Serkin, and François-Frédéric Guy. Among Van Cliburn competition winners, Stanislav Ioudenitch (2001) and Jon Nakamatsu (1997) studied with Mr. Schnabel as well. In 2001, just in time for the Schnabel Exhibition and Symposium during the Berlin Festival, the documentary film “Con Brio – Karl Ulrich Schnabel Master Teacher of Piano” was completed. Its premiere showing earned the highest praise. Karl Ulrich Schnabel was born in Berlin, Germany, August 6, 1909. He began to study piano at the age of five. His principal teacher, from 1922 to 1928, was Leonid Kreutzer (1884-1953) at the State Academy of Music, Berlin. Schnabel’s Berlin concert debut in 1926 was followed by recitals, radio broadcasts, chamber music concerts, master classes, and appearances as soloist with orchestras throughout Europe, North and South America, Australia, and New Zealand. His London debut was in 1931 and his New York debut was in 1937. From 1933 to 1939 he made concert tours of Europe and Russia. Mr. Schnabel passionately dedicated himself to the revival of the largely neglected music for piano duo, four hands. He started duo performances and recordings with his famous father as partner. Beginning in 1939, he played internationally in an increasing number of duo appearances with his wife, the American pianist Helen Fogel, in concertos for two pianos and orchestra as well as in recitals for one piano, four hands. In 1956 the duo participated at the Holland Festival in five performances with orchestra and in 1972 at the Edinburgh Festival. Four years after his wife’s death Karl Ulrich Schnabel formed a new duo with the Canadian pianist Joan Rowland. Mr. Schnabel made many recordings, solo and four-hand, for HMV, EMI, Philips, Musical Heritage Society, and Town Hall among others. In addition to his distinguished solo performance career he excelled as an accompanist. At home and in concerts, he accompanied his mother; beginning at an early age he played for her voice lessons and coached her students. When he began teaching at the age of 13, his early students, who wanted to study with his father, were surely disappointed at being shunted into the class of the “wrong Schnabel”. Today, some of those students who unexpectedly found themselves studying with Karl Ulrich, remember those lessons as powerful, formative experiences – different from, but not inferior to, those of the elder Schnabel. Karl Ulrich Schnabel finally left Berlin in 1934 and lived in Tremezzo, Lake Como, and in London; he emigrated to the United States in 1939. In the same year he married the American pianist Helen Fogel. They had a daughter, Ann. During World War II he interrupted his musical career to do war work as head of an electronic laboratory in Massachusetts. Starting in 1947, when not on tour, he divided his time between homes in New York and on Lake Como, Italy. His extra-musical interests included rock-climbing and photography. As a young man, he competed in table tennis tournaments. While still in Berlin he set up an elaborate miniature electric train set for which he even devised timetables. Mr. Schnabel’s friend, the composer Paul Hindemith, participated in running the train set. For several years, he produced moving pictures; in 1933, he was producer, director and cinematographer of a feature-length film based on a German fairy tale, Wilhelm Hauff’s “The Cold Heart” (“Das kalte Herz”), which finally was premiered in 2016 at the Neuchâtel International Fantastic Film Festival (NIFFF) in Neuchâtel, Switzerland. From 1947 on, he gave yearly international summer master courses at Lake Como, Italy. He gave master classes in England, Scotland, France, Italy, Germany, Austria, Spain, Israel, Brazil, Japan, Australia, New Zealand, Canada, and all over the United States, including the Ravinia Festival. In 1940, he became head of all the instrumental departments at New York’s Dalcroze School. In later years he also became a faculty member at the Manhattan School of Music, New York. Karl Ulrich Schnabel’s book, Modern Technique of the Pedal: A piano pedal study which is still in print, has been published in New York, London, Toronto, Cologne, Tokyo, and Milan. It has been translated from the original English into languages as diverse as Italian, Korean, and Chinese among many others. His editions of compositions by Schubert and Weber were also published by Edizioni Curci, Milan. Mr. Schnabel died in Danbury, Connecticut, on August 27, 2001. He was buried in the family plot in Schwyz, Switzerland, at the foot of his beloved Alps, joining his parents and wife. 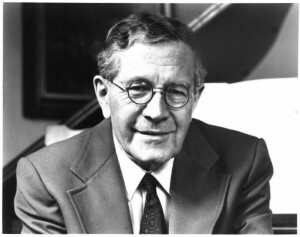 Allan Evans, the American musicologist, record producer, and teacher at Mannes College, The New School for Music, New York, recorded an extensive interview with Karl Ulrich Schnabel in 1996. This interview covers such diverse topics as growing up in Berlin, the Volksbühne (cultural venue for the average workman), the decline of Berlin as musical center, musicians of the time, writers and theater, and many more subjects. Reading the interview is highly recommended. While on the Arbiter Records page look around and discover the wealth of historic recordings offered.